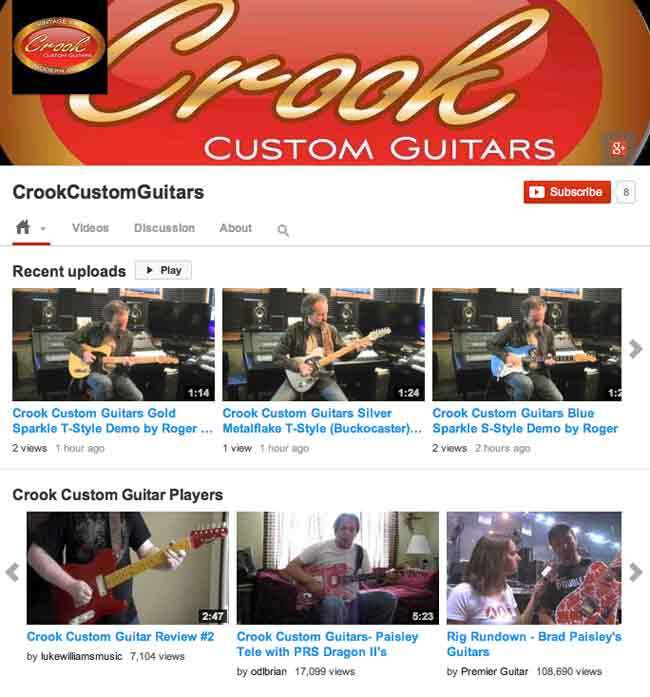 Check out the Crook Custom Guitars YouTube Channel! I had my friend Roger Hoard demo several guitars that I’ve built. It was our first attempt using a studio to film demo videos. Roger and I had a lot of fun with this, and I think they turned out pretty good. My goal is to give you a chance to hear some Crook guitars and get a feel for the different types of pickups I’ve used. Let me know what you think!